During your treatment for bowel cancer, you will come across a variety of medical and other professionals who will provide you with care, support and advice. Read about what they do and how you can access their services below. Surgical oncologists are surgeons who devote most of their time to the study and treatment of malignant tumours. They have the necessary knowledge, skills, and clinical experience to perform standard and extraordinary surgical procedures needed for people with cancer. Surgical oncologists can also diagnose tumours accurately and tell the difference between benign and cancerous tumours. They understand radiation oncology, medical oncology, and haematology. Are always available to you and your families. Throughout the hospital with people who are referred to the oncology service through a consultant. Oncology Liaison Nurses also provide support to the family and significant others, through listening, problem solving, and education. They provide outreach support to patients at home and help patients who need referral to specialist services. Your stoma therapist or nurse will show you how to care for your stoma and the skin around it. A number of different protective pastes, membranes and powders are available. Your stoma therapist or nurse will show you how to use these, and what to do if your skin becomes damaged or sore. 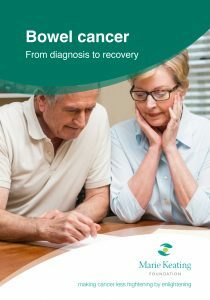 Follow-up assessment and counselling after you are discharged from hospital. Your Community Nurse may come to your home to help with wound care and other aspects of your cancer treatment. When you are treated in hospital for cancer you receive what we call ‘standard medical treatment’. Complementary treatments can be given along with standard treatment, but it is extremely important to make sure you have discussed the possibility with your oncologist or nurse before you plan this kind of therapy. If you are interested in any of these complementary therapies, do speak to your oncologist first. Many of these therapies will be on offer in your local cancer support centres. Alternatively, you can speak to your GP who can provide a contact for you. You will very likely need a supporting letter from your oncologist to receive this treatment. You will also receive a full assessment from a health professional at the support centre to make sure you are getting the right type of therapy for you. See a list of cancer support centres at the end of this section. Coping with a diagnosis of cancer can be very difficult and very stressful on you and your family. A cancer diagnosis will change how you think about things and life itself will change. It may be difficult for you to come to terms with these feelings and emotions. You may even find it difficult to talk to close friends or relatives. It is therefore important for you to recognise this and ask for help. Counselling can provide you with the emotional support you need in a professional and confidential place. If you feel that counselling is something you or a member of your family may need, do speak to your oncologist first. There are many qualified counsellors available in your local cancer support centres. Alternatively you can speak to your GP who can provide a contact for you. You or any member of your family will receive a full assessment from a health professional or counsellor at the support centre to make sure you are getting the right type of support for you and your family. Below are the contact details for these Designated Cancer Centres; and for cancer support centres around the country.